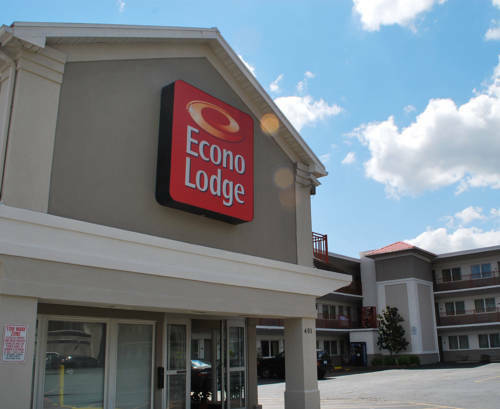 Enjoy an easy stop on the road at the Econo Lodge Downtown hotel in Louisville, KY, which lets you travel simply. We give you easy access to the University of Louisville, Churchill Downs, Kentucky International Convention Center, Louisville Zoo, Louisville Slugger Museum, KFC Yum Center and Louisville International Airport. Enjoy such amenities as free WiFi, free continental breakfast and a fitness center. Guest rooms feature a refrigerator, microwave, coffee maker, TV, desk, iron and ironing board. Also, earn rewards including free nights and gift cards with our Choice Privileges Rewards program. Limit one parking space/room, parking USD5/24 hours, no oversized vehicles allowed. No rollaway beds available.